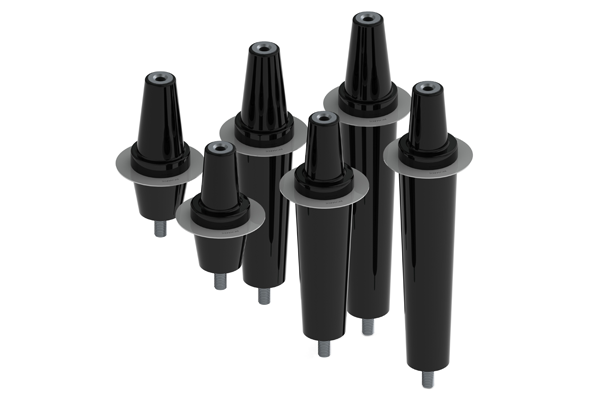 Deadbreak Apparatus Bushings provide a means of connecting 600A Deadbreak Elbows and related products to equipment (i.e. transformers and switchgear). These components are welded to the equipment, providing a sealed, insulated connection. We refuse to cut corners when it comes to manufacturing. IEEE 386 specification requires apparatus bushings to be subjected to two out of three production tests — the mandatory partial discharge test, and either AC withstand or impulse test. Richards performs all three tests on every single product that we produce. Richards offers 600A Deadbreak Apparatus Bushings in 15/25kV and 35kV voltage classes in a variety of shank lengths. For more information, please download our product data sheets below or see our catalog.